Skiing is a sport that involves traveling over snow with the use of skis. The history of skiing is believed to go back at least eight millennia, all the way back to 6000 B.C. In the Xinjiang region of what is now China, there were wall paintings found that depicted the use of skis. These wall paintings are believed to be about 5,000 years old. In the United States, around 1836, Norwegian immigrants used skis, which were called Norwegian snowshoes. A Norwegian immigrant referred to as “Snowshoe Thompson” traveled by skiing across the Sierra Nevada between California and Nevada to deliver mail in 1856. In 1888, a Norwegian explorer by the name of Fridtjof Nansen, along with his team crossed the Greenland icecap while on skis. 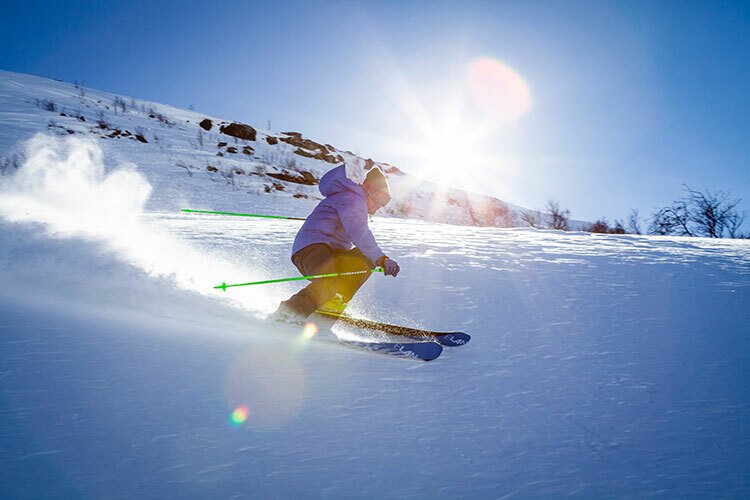 Skiing as a sport originated in Norway and Sweden with organized skiing exercises and races used in the military. These exercises included skiing downhill in rough terrain, as well as cross-country skiing with military gear, and skiing downhill while performing target practice. In 1843, the first public skiing competition was held in Norway. It was the first skiing competition that was recorded in a newspaper. In 1905, the U.S. Ski and Snowboard Association was founded in the United States. Then in 1924, the International Ski Federation was formed. In the same year, the first Winter Olympics was held. In 1849, the first public ski tour was formed in Norway. Once travel by train became commonplace, mountain resorts began popping up in 1868 and many people living in cities were able to visit these areas on vacation. In Sun Valley, Idaho, the first chair lift was introduced in 1936. Now that you know all about the history of skiing, come visit Telluride Adventures in Telluride, Colorado to participate in a skiing adventure.